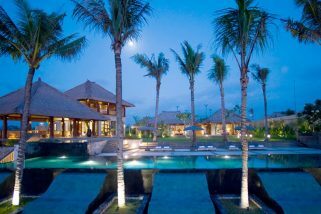 Canggu used to be a small village on the beach surrounded by rice fields, but this is long time gone. 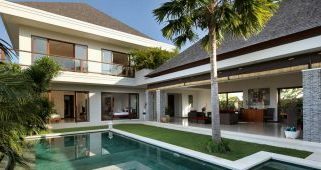 Nowadays, Canggu is the preferred Expat locations due to his charming village feeling and as its close proximity to Seminyak where most expats work. 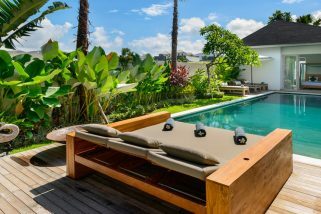 Canggu is also home of some of the Islands greatest Villas owned by overseas nationals. The area is famous for its long beach, running north from the village of Berawa (just north of Seminyak) to the village of Cemagi (just south of Tanah Lot) taking in Echo Beach, Seseh and Pererenan along the way. Echo Beach offers great restaurants on beautiful terrace overlooking the famous surf spots. The beaches have dark grey or black sand and are not particularly good for swimming but perfect for surfing and walking. Seseh is a quiet friendly beach which’s surrounding area just has started to be developed. Pererenan is similar to Seseh but still more traditional as a lot of local and expats choose this place for a quiet living. 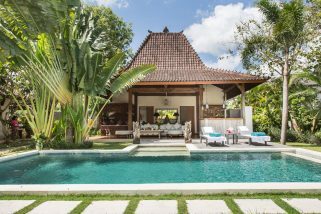 Villa Avalon One is a divine, four-bedroom Canggu villa that will provide up to eight adults with the most glamorous getaway fathomable. The sumptuous bedrooms are housed in two separate pavilions to provide maximum privacy and relaxation for large families or groups. 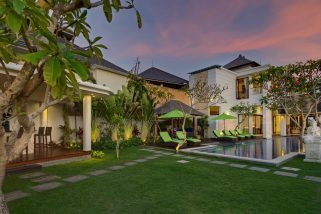 Sitting amongst a complex of 5 outstanding luxury accommodation units, Villa Langit is open and comfortable. 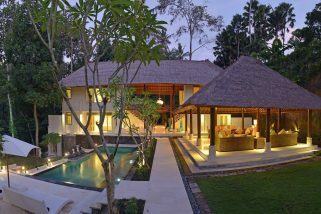 Villa Oceania’s rice field surrounds blend perfectly with it’s traditional Javanese ‘Joglo’ style architecture. 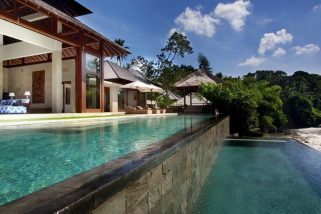 Overlooking rice fields, Villa Kemala offers luxury living whilst keeping in touch with traditional Balianese architecture. Indoor finishings are clean and modern with several indoor and outdoor areas providing diversity. 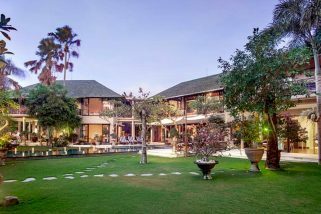 The renowned Pantai Lima Estate is home to the five bedroom masterpiece, Villa Mary. As of the island’s most sought-after locations with casual luxury, total privacy and complete serenity, the property offers 100% beach front views, situated on the Pererenan beach. 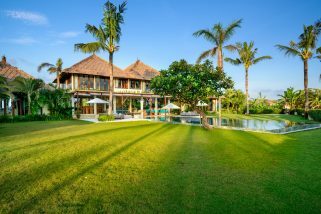 Villa Junno is set on more than 2000sq mtrs, featuring tropical landscaped gardens, soothing water features, 5 luxury bedrooms and traditional Balinese style architecture. 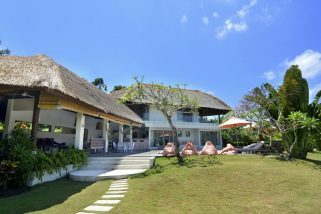 Situated near by Brawa Beach in Canggu, Jadine Villa is a 30-minute drive from Ngurah Rai International Airport. Conveniently located just a short stroll from Echo Beach, Villa Levi boasts an array of comfortable indoor and outdoor living areas perfect for entertaining. 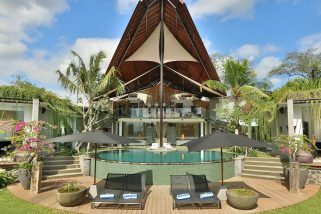 It sits amongst a complex of 5 outstanding luxury accommodation units and has 4 bedrooms of generous proportion with their own bathroom. 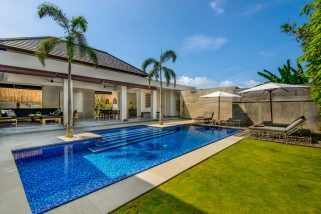 This spectacular 4 bedroom villa, designed by renowned architect Glenn Parker, is situated by the meandering magnificence of the Yeh Penet River within the unspoilt Tabanan Regency. 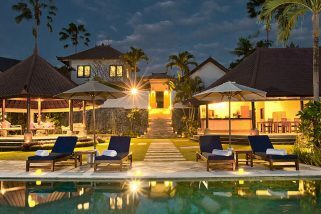 Pererenan Beach on Bali’s dramatic and unspoiled south-west coastline plays host to Villa Luwih. 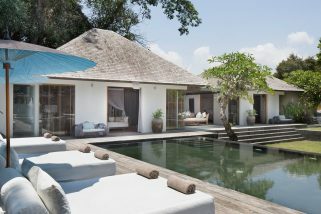 Comprising three floors of living spaces and glass fronted the villa offers unspoilt ocean views. 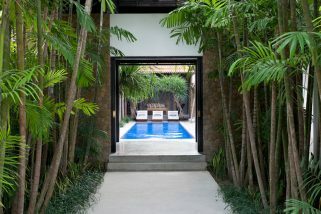 Villa Hana comprises two single-storey pavilions with split-level living areas that surround the private 15mtr swimming pool. 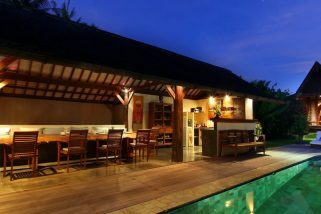 Nestled amidst lush rice terraces and enveloped in a gorgeous tropical garden lies the charming and exquisite Villa Kouru. The property accommodates up to ten guests in its five stunning bedroom suites. 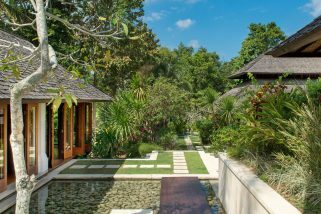 Featuring colonial design, Villa Mako is a single-storey villa set on the banks of a small river within a peacefull Balianese village. 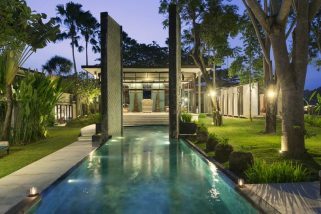 This unusual, 4 bedroom villa is engulfed in the natural splendour of rice fields and flawlessly blends the best of contemporary design with more traditional base notes. 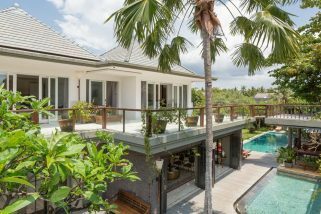 Villa Momentai is a brand new villa and part of a 6 villa compound, built over two-stories the villa offers tasteful artworks, funky design details and comfortable areas for all purposes. 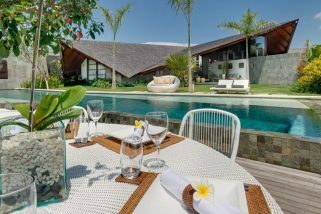 Villa Canggu South is a mere 100mtrs from the beach at Canggu and is divided into two separate residences which can be rented jointly or independently: four-bedroom Villa Canggu South is adjoined by two-bedroom Villa Canggu North, offering guests the choice of a two, four or six-bedroom renting option.